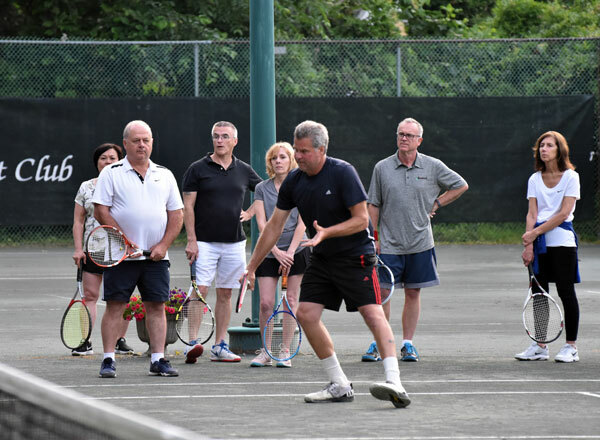 We host a variety of events from Casual Tennis Parties to Competitive Club Tournaments for a wide range of levels. Please invite any & all tennis friends & family to this FREE event. » Please sign up here. Don't have an organized game? Don't know when you can get to the club? 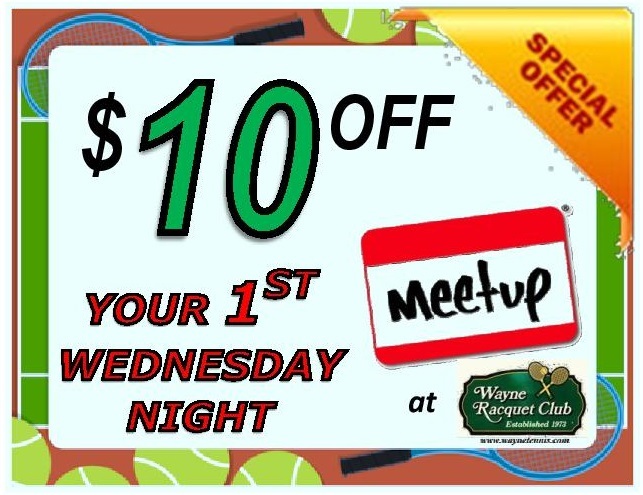 Come down on Wednesdays between 5:00p & 7:00p, Thursdays between 8:00p & 10p and Fridays between 3:00p & 6:00p and you will be included in a doubles game. Cardio Tennis will be held on the following dates: June 7, June 21, July 12, August 2, August 16, September 6, September 20. Organized Round-Robin singles play on Monday-Thursday nights. More details HERE. As the indoor season comes to an end, and the weather finally warms up, your INDOOR GROUP is invited for a COMPLIMENTARY play date at WRC. Please CALL to reserve 1 or 2 courts for an "END-OF-THE-INDOOR-SEASON" play date. 8 or more players? WRC will provide PIZZA! Less than 4 players? WRC will provide a 4th. Play from opening day until May 31st. 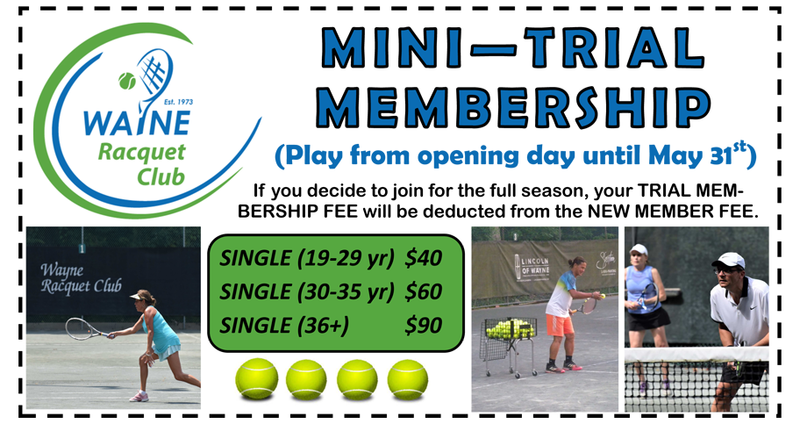 If you decide to join for the full season, your TRIAL MEMBERSHIP FEE will be deducted from the NEW MEMBER FEE. If you know anyone that wants to learn tennis - or wants to get back into the game please have them check out our program on Meetup.com. 1 hr group lesson followed by open tennis. This is FREE to members. Non-members can participate for just $25. Interested in attending a Free Clinic? Looking to join a league? Or just stop by for a pick-up match? Review our Calendar of Regularly Scheduled Activities.